What is the most important thing for you as a human being? 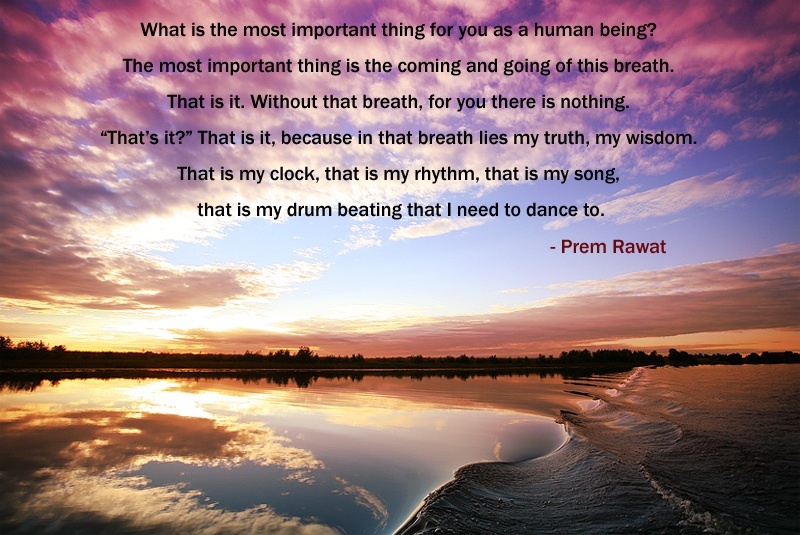 The most important thing is the coming and going of this breath. That is it. Without that breath, for you there is nothing. “That’s it?” That is it, because in that breath lies my truth, my wisdom. that is my drum beating that I need to dance to.